Intelligence chiefs have warned British Prime Minister Theresa May that Russia is moving troops and missiles into Libya in a bid to enforce a new stranglehold on the West, The Sun reported Monday, adding that Vladimir Putin wants to make Libya “his new Syria”. The British newspaper added in an exclusive report that Moscow aims through this move to seize control of the biggest illegal immigration route to Europe, with one government source warning that this move could turn on a fresh tidal wave of migrants crossing the Mediterranean “like a tap”. “Dozens of officers from the GRU military spy service as well as its Spetznaz special forces wing are already on the ground in eastern Libya, initially carrying out training and liaison roles.” The Sun revealed. Two Russian military bases are already functioning in Benghazi and Tobruk, using the cover of the controversial Russian private military company the Wagner Group which already has outposts there. “Russia’s devastating Kalibr anti-ship missiles and state of the art S300 air defence missile systems are also now believed to be on the ground in Libya.” The report added. According to The Sun report, senior MPs have called on Downing Street to take urgent action to counter the new Russian threat because is intimately linked to UK national security. Meanwhile, Warlord Khalifa Haftar has reportedly given the go-ahead for the Russians to deploy in Libya in a bid to minimize the EU influence, especially the Italian one. 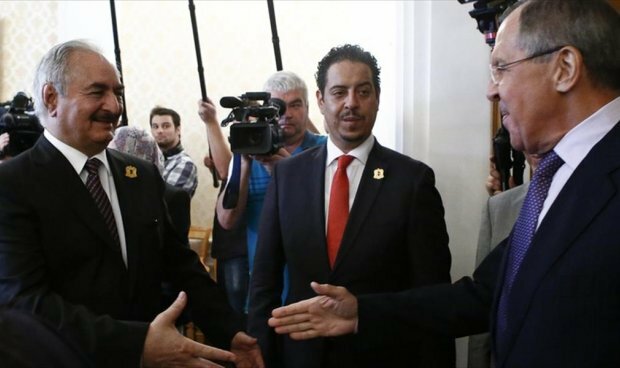 Haftar is also seeking the Russian, in addition to Egyptian and the UAE, help to extend his power from the east to the entire country, especially Tripoli.